As far as I'm concerned, color is the best part of summer - but with a colorful room, you can have that summer feeling all year round, too. 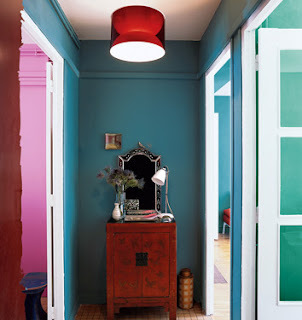 Here are some of my favorite vibrant spaces. All images, my Domino file. I love this colorful collection of some of my fav photos! That top mid-cent one is my fav! 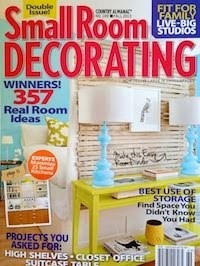 Thanks for stopping by my blog--yours is wonderful! 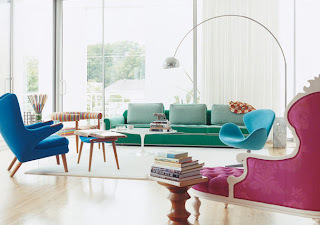 The cobalt blue sofa with the aubergine chair, and hot pink pillows just got my heart beating faster. 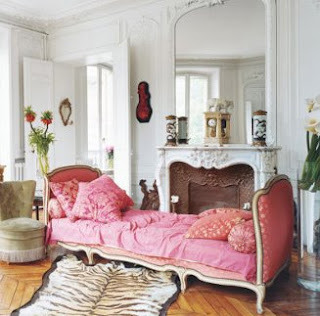 Some of my favorites from Domino-especially the second one with the pink French daybed. Gorgeous! Have a great weekend! Beth - I think that's from the Erin Featherstone in Paris artcle - one of my favorites. 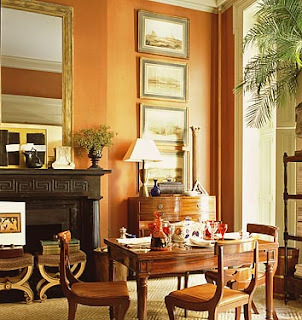 She also had that huge throne chair - very sparse, colorful rooms with large furniture. Alicia I agree - I know it's been said 100 times already, but shame, shame. Great choices! These are some of my favorite domino rooms...*sigh* I still can't believe they're gone (and that they took down the website!). all of these rooms are to die for. thanks for sharing! Too bad more people don't celebrate color year round! Have a terrific wknd! You just added to my sadness in the recent loss of Domino! All the photos are so inspiring. I love color! I love colour too! 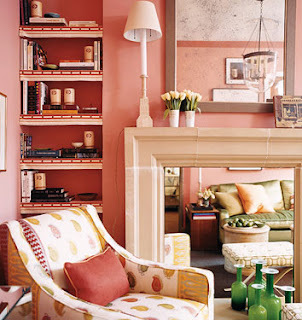 I especially like the fuschia pink chaise and turquoise chair in the first photo. love all the color..it makes me happy! !